When a user of an iPhone 5S is setting up their iPhone to recognize their fingerprint, they will get a message saying that “Recogition is X% complete”, where X% is presumably a progress bar filling in. Hamza Sood has found a lot of hidden iOS settings in the past, so he’s got a good track record. 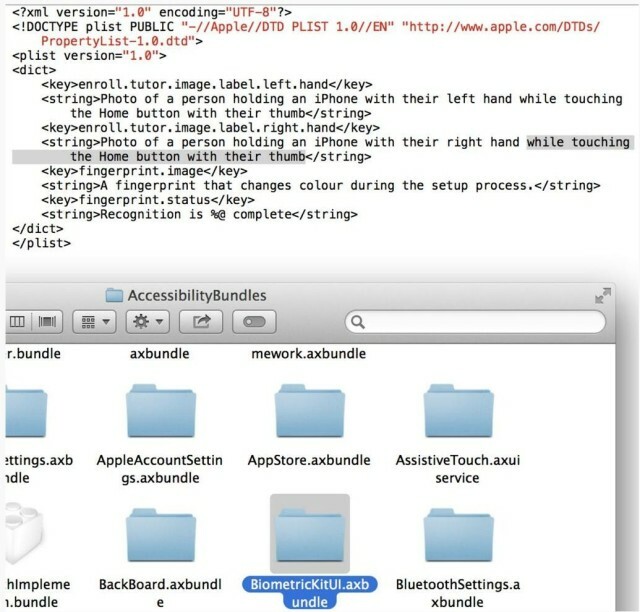 This looks pretty legit, and we all knew Apple acquired Authentec for a reason, and that fingerprint sensors were coming to iOS devices. This is our first peek, though, at how they will be realized, with typical Apple simplicity.